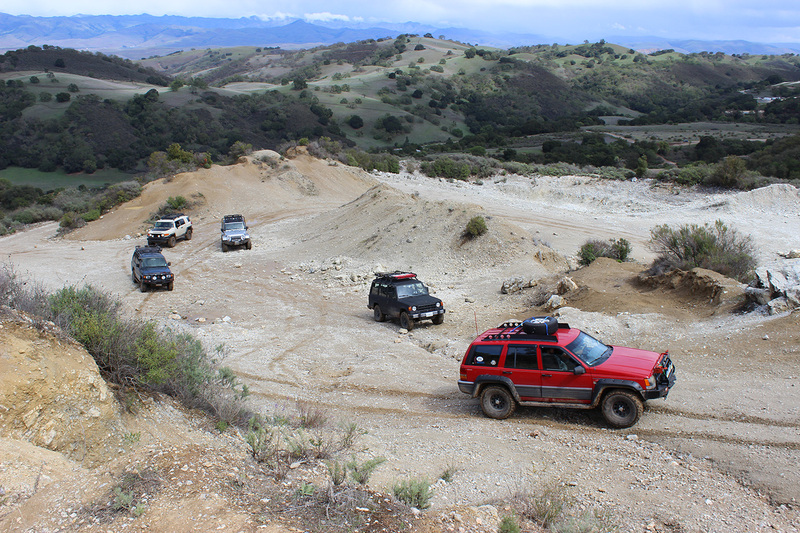 In early April WCXC got together for a day at Hollister Hills OHV near Gilroy, California, for a couple of days of camping and trail skills practice. It had been raining so the trails were pretty muddy. 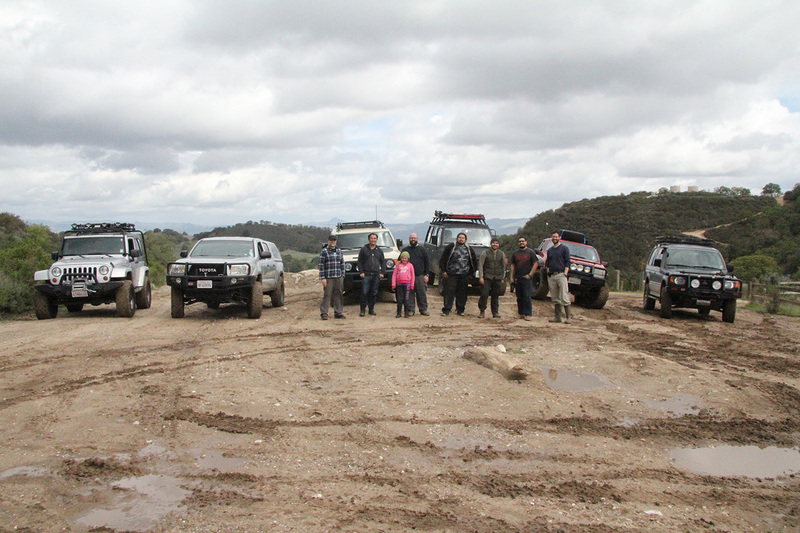 Still, we had a good time driving the obstacle courses and playing in the mud. Given all of the rain, and that this was our first outing as a group, we decided not to head down any of the intermediate difficulty trails. After we had our fill of the two obstacle courses, and were on our way back to camp, a ranger asked us if we wouldn’t mind helping a guy out that had not been so cautious and had gotten stuck on one of the intermediate trails. We said we’d go have a look and see what we could do. 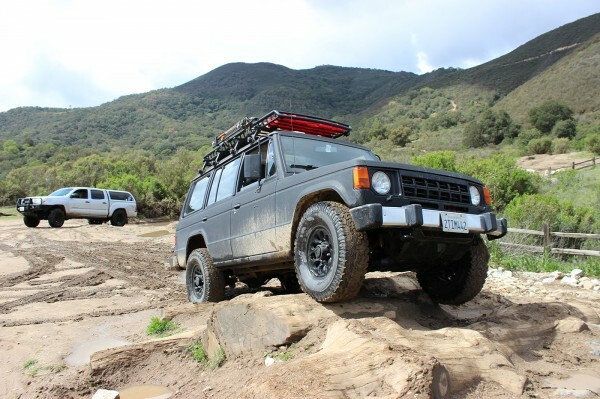 What we found was a full-size, crew-cab 4×4 pick-up on 80 psi street tires, that had slid completely off the trail, down a slope that led down to a small ravine. It had sunk into the mud up to its door sills. Mas had a winch on his truck and we offered our help. About two hours, 3 or 4 winch pulls, and a rain and hail storm later, we had the truck back on the road. As the rain picked up I got concerned that he—and we—would be able to get back out (as his truck blocked our exit). He got his truck turned around though, and we all made it out. Sheesh. It was a little more than we bargained for. A big thank you to Greg, Mas, Bryan, Ismael, Jesus, and David & Sadie, Lola, and Bee, who all came out to Hollister Hills for WCXC’s first trail day. It was great to see everyone enjoy the food, camping, and a day on the trails. We had fun despite the rain checking out the various obstacle courses and working on our driving skills. Then, as we headed back to camp, the day took as serious turn when we learned that a man and his small boy had slid off the mud-slick trail and had gotten their full-size pick up seriously stuck. A full report soon. 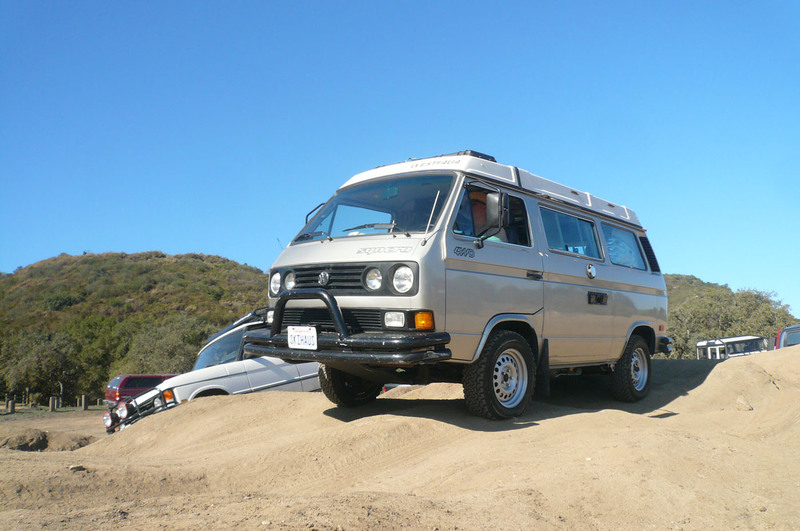 Do you have a VW Syncro (or other European 4×4)? 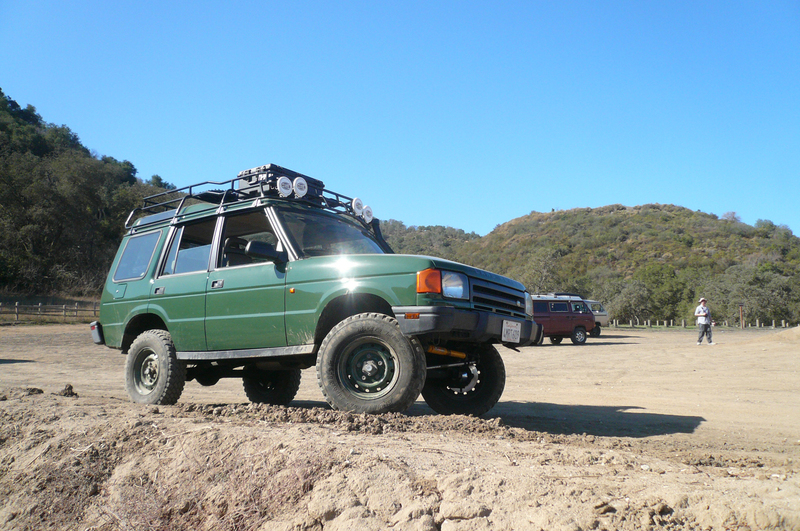 If so, you can take it to Syncrofest, happening Thursday, April 19th to Sunday, April 22nd at Hollister Hills SVRA, about 40 miles southeast of San Jose. The site says they’ll have driver training and skills tests. Camping will be $40/vehicle or $10/vehicle day use. On international travel: if you’re traveling through a town and you don’t see any women or children, something is wrong. That said, the world is a pretty safe place and trouble is usually highly localized and easily avoided. On vehicle prep: the most important change you can make on a vehicle is tires. Select ones that are suited to the environment in which you’ll be driving. For example, mud terrain tires work in mud but not on asphalt and snow.